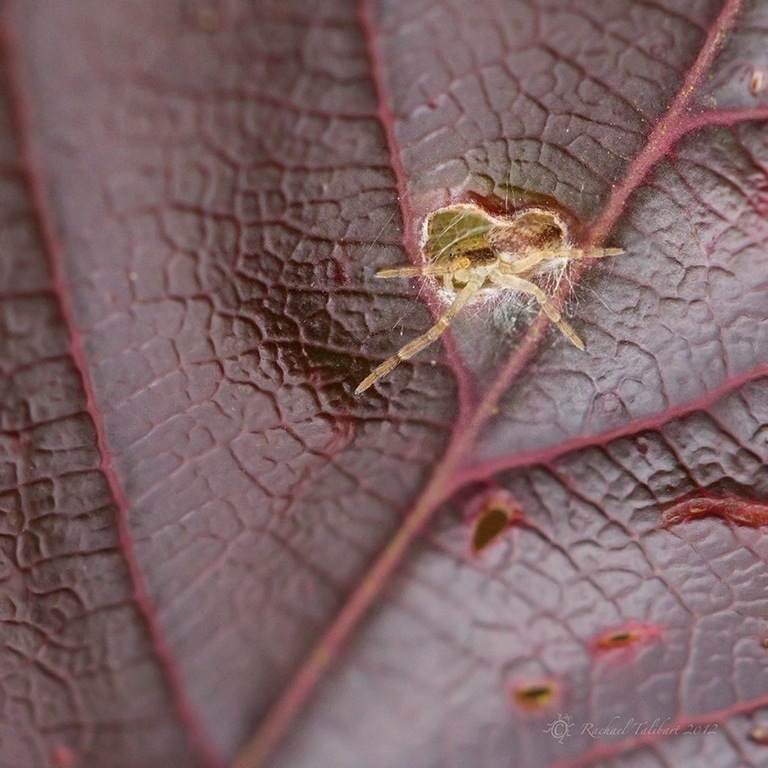 This entry was posted in garden, nature, photography and tagged Autumn, garden, macro, macro photography, nature, photographs, photography, Spiders by Rachael. Bookmark the permalink. Awesome shots, Rachael. 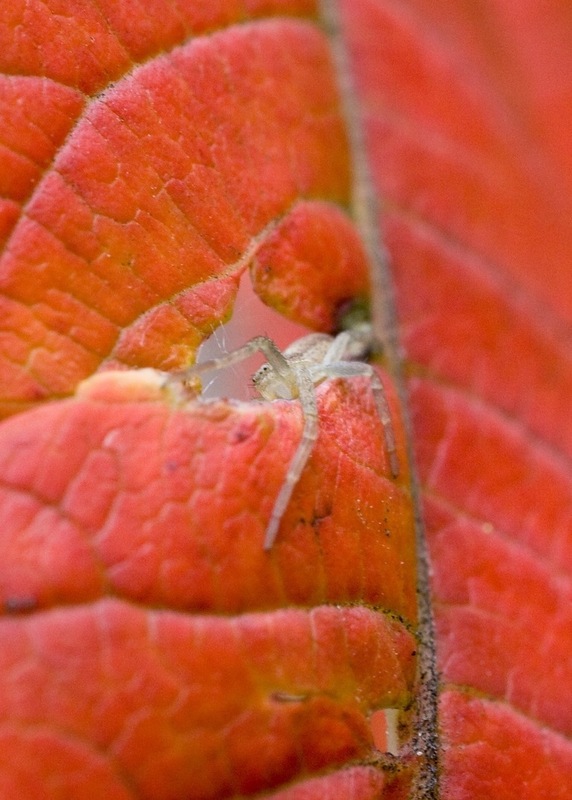 The green spider stands out pretty well against that brilliant autumn leaf. Thanks, Gracie. He is rather pretty, I agree! He he. Post it, I dare you. We of the slipped cogs must stick together! I just love that teeny weeny one in the hole Rachael.. Thanks, Helen. The were two of them on this leaf but the other one cheekily kept switching sides every time I tried to photograph it. In the end I have up and concentrated on its sleepier companion. Yea the colors of the first shot really caught my eye! Thank you. Shame about the legs. I’m a major arachnophobe so am on the constant lookout at this time of year! These ones look a bit less unthreatening that an the huge beast that came out of the log basket in my lounge yesterday. 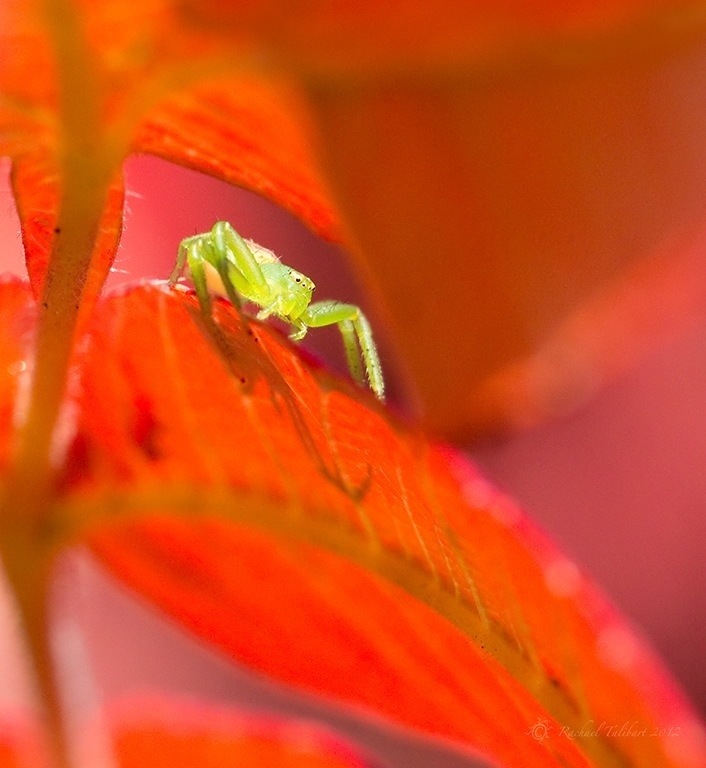 It’s almost enough to make me like spiders – almost! Love your photos, particulary the insects, lovely coulours combined with an eye for details! These pictures are fun and perfect for the season, Rachael, though I’m with Lucy – certainly an arachnophobe! I guess I would be an arachnophile (if there is such a word). Love those little mis-understood guys. Particularly Mr. Peek-a-boo. Color contrast on leaves is right on.